PT Pos Indonesia (Persero) - POS Indonesia is the national postal corporation of Indonesia and is 100% owned owned by the Government of Indonesia. 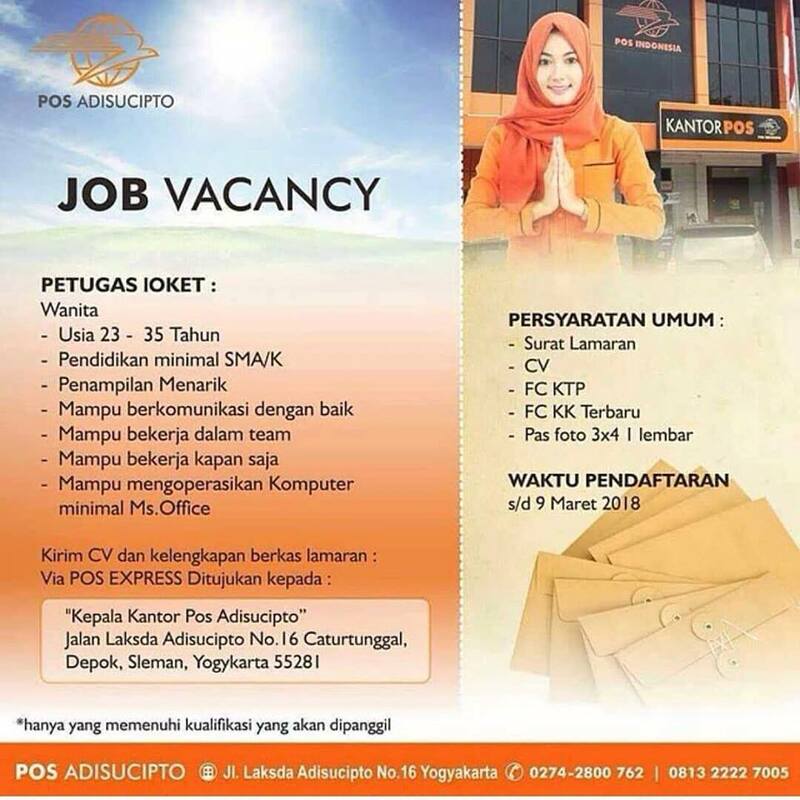 POS Indonesia has responsible for providing postal service in Indonesia. POS Indonesia is recognized as one of the oldest companies in Indonesia. The history of POS Indonesia started on 1746 when the first post offices opened in Batavia (now Jakarta) by Governor General GW Baron van Imhoff. After several changes in status, the name of PT Pos Indonesia (Persero) was officially launched in 1995. 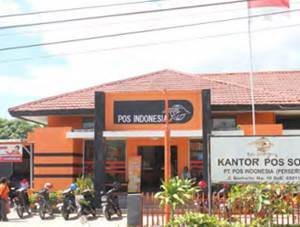 POS Indonesia is based in Bandung West Java and offers services through 11 regional offices, 4,657 post offices, 1,318 mobile services spread in all over Indonesia and served by 27,808 employees. POS Indonesia also supported by 3 subsidiary companies and 3 affiliated companies; PT Pos Logistik Indonesia (logistic services), PT Bhakti Wasantara Net (engaged in internet sevice provider), PT Pos Properti Indonesia (property business), Dapenpos, Politeknik Pos Indonesia, and PT Bank Mandiri Taspen Pos. In the business year of 2016, POS Indonesia managed to recorded good performance. POS Indonesia successfully recorded its total revenue of Rp 4.45 trillion, according to PT Pos Indonesia (Persero) Annual Report 2016 as cited by JobsCDC.com. This total revenue number is up 5.20% year-on-year (yoy) from Rp 4.23 trillion in the previous year. POS Indonesia booked total net profit of Rp 203.28 billion in 2016. This total net profit number is increase significantly from Rp 29.99 billion in 2015. Female, age around 23-35 years old. Minimum Senior High School or Vocational Senior High School (SMA/SMK). Computer literate, minimum MS Office. JobsCDC.com now available on android device. Download now on Google Play here. Please be aware of recruitment fraud. The entire stage of this selection process is free of charge. PT Pos Indonesia (Persero) - SMA, SMK Counter Officer POS Indonesia March 2018 will never ask for fees or upfront payments for any purposes during the recruitment process such as transportation and accommodation.